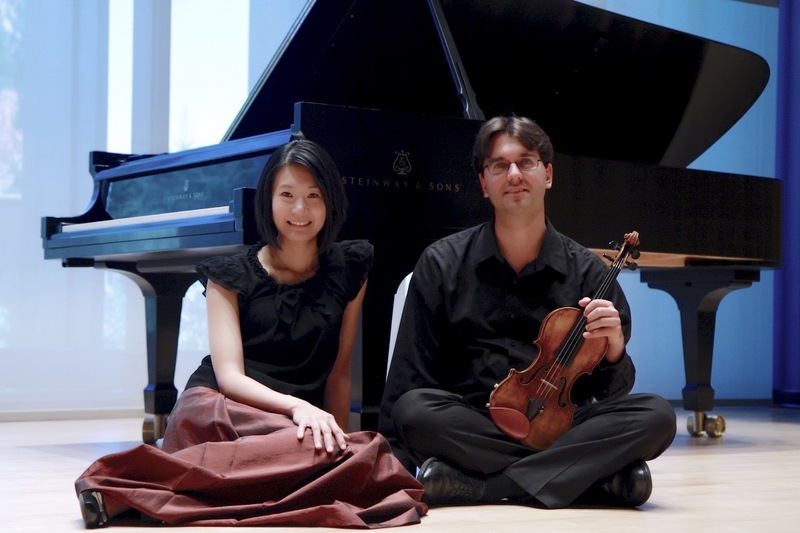 We are the Rainier Duo - pianist Chi-Chen Wu and violinist Gregory Maytan. Now in our third season, we have toured in the US and Europe presenting recitals at numerous festivals and concert series. We would like to tell you about our upcoming recording project: the three sonatas for piano and violin by Johannes Brahms. The CD will also include his scherzo as well as transcriptions of the songs on which several movements of the sonatas are based. What makes this project unique is our musical approaches from the perspectives of historical performance practice and the use of an 1875 Schweighofer fortepiano, a type of instrument which was close to Brahms’s Streicher piano. (Unfortunately, his instrument was severely damaged during World War II, and today only one leg remains.) We believe that such an instrument and the stylistically faithful approach will bring musical authenticity and a greater range of expression and beauty. The recording is going to take place in the fall of 2019 at Cornell University, of which the Music Department is known for its research on historical performance practice and collection of period instruments. Dr. Chi-Chen Wu had conducted research on this topic at Cornell University as Visiting Scholar for three years and has recorded Haydn and two CDs of Schumann’s music on fortepianos.